After the Supreme Court ruled in the Brown vs. Board of Education case that segregated public schools were unconstitutionally discriminatory, several southern governors and senators took defiant positions on the issue. 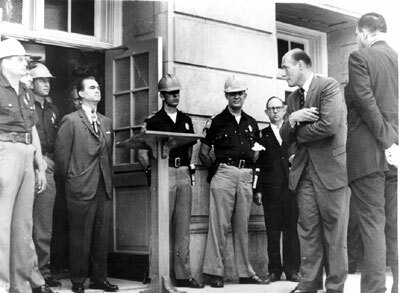 One of those was Governor George Wallace (D-AL), who made headlines by standing in the schoolhouse door and declaring, “Segregation now, segregation tomorrow, segregation forever!” in 1963. Gov. Wallace ran for president on a third-party segregation platform in 1968, and won five southern states that should have been in the Democrat column – thus drawing off enough electoral votes to give Richard Nixon the presidency. He was crippled in a 1972 assassination attempt while campaigning in Maryland. After a 57-day filibuster by Democrats against the Civil Rights Act of 1964, Republican Senator Everett Dirksen led an effort that invoked cloture and sent the bill to President Lyndon Johnson for his signature. The act guaranteed minorities the right to vote in southern states that had previously denied them that right. No previous civil rights act had ever survived a filibuster conducted by Democrats in the U. S. Senate. I’m not the first to note that members of the bipartisan coalition which passed that historic Civil rights legislation over the opposition of southern Democrats never foresaw the radical interpretations courts have since made of that law. Excepting some prescient opponents, few politicians then could have dreamed of where we are now. As a college senior I heard Senator Hubert Humphrey jest that he would “eat his hat” if the law ever led to quotas. Luckily, the good Senator escaped paying up by dying in 1978. His old fedora would have been a mouthful. Step by step, attitudes have morphed from those hopeful days. 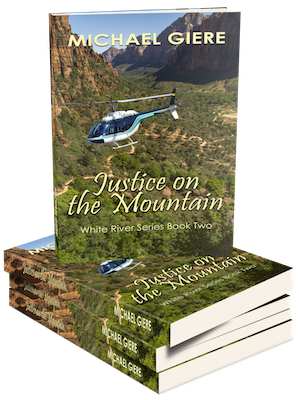 Benign-sounding “affirmative action” – a chance for minorities to compete on level ground – quickly morphed into preferences, then quotas – all by judicial fiat. Whites originally sympathetic to the 1964 legislation grew bitter over racial preferences that turned them and their children and grandchildren into second-class citizens, as Jim Crow laws had done to blacks, pre-1964. The reservoir of racial good will was squandered. Some analysts say the two races are more estranged today than they were in 1964. Black writers/educators Thomas Sowell and Walter Williams, politician Ward Connerly, and jurist Clarence Thomas have all argued that racial quotas actually hurt blacks by obscuring genuine minority accomplishment under the shroud of quota-boosted status. Mr. Sowell has urged minority students to enter schools they qualify for, so they can succeed – instead of entering schools they don’t qualify for, so they can fail. A tipping point was reached in 2003 when the Supreme Court heard the landmark Grutter v. Bollinger case and upheld the affirmative action admissions policy of the University of Michigan Law School. Justice Sandray Day O’Connor, writing for the majority in a 5-4 decision – and joined by Justices Stevens, Souter, Ginsburg, and Breyer – ruled that the UM Law School had a “compelling interest” in promoting class diversity. The Court held that a race-conscious admissions process that may favor “underrepresented minority groups,” but that also took into account many other factors evaluated on an individual basis for every applicant, did not amount to a quota system that would have been unconstitutional under Regents of the University of California v. Bakke. The Court agreed to give “a degree of deference within constitutionally prescribed limits” to the university regarding the compelling nature of its interest in diversity. A great deal has been written about that decision, which essentially blessed the use of race in college admissions to achieve “diversity.” And that same allowance has gradually been extended to hiring decisions for public and private employment, thus placing the USA under official decree as a racially ordered society. 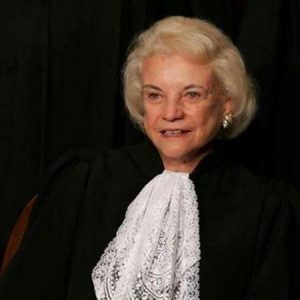 Justice Sandra Day O’Connor opined that consideration of race in such matters might have to be continued for another 25 years. If she didn’t exactly proclaim, “Racism now, racism forever!” she came very close to it. The University of Michigan Law School had argued for something called “minority critical mass” in advocating consideration of race in admissions. Evidently, the Court’s majority accepted this objective uncritically, since neither “diversity” nor “critical mass” has a legal definition. No compelling evidence was presented to prove any measurable benefit from a “diverse” student body. Benefits of diversity are inferred entirely from an “impression” that it is a good thing. Commentary on the controversial decision has ranged widely. Critics hope for a court “friendlier to the Constitution.” Moderates say we’ll have to learn to live with it. Black columnist Clarence Page said reserving university slots for less qualified minorities is no big deal – no worse, for instance, than reserving prime parking places for handicapped drivers. (Get over it!) Somehow Mr. Page failed to notice that parking places don’t usually determine a person’s future. Staunch conservative Suzanne Fields celebrated her own family’s diversity by recalling her Lithuanian grandparents. While conceding that the Court had put “…its imprimatur [on] an undemocratic process falsely labeled ‘diversity’,” her curiously muted acceptance of the Court’s radical decision sounded like surrender. Arkansas journalist Paul Greenberg invoked George Orwell by calling “diversity” Newspeak. He said the idea that one can follow the 14th Amendment, which bars discrimination by race, while making important decisions on the basis of race, is a classic example of Doublethink. 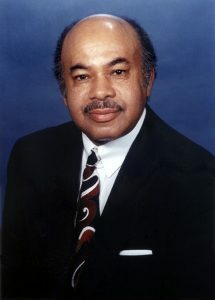 Nearly alone among national-level commentators, Ward Connerly – of African heritage himself – called on Americans to defeat quotas at the state level. Formerly a member of the California Board of Regents, Mr. Connerly had previously sponsored California’s Proposition 209. Adopted in 1996, it prohibited the use of race, gender and ethnicity in university admissions and in state hiring and promotions. He subsequently sponsored a proposal to end all racial data collection in California, but the Regents rejected it by a vote of 15-3. “The time for America to break free from its obsession with classifying and dividing her citizens by ‘race’ has come,” said Mr. Connerly. Critics have denounced him as an Uncle Tom and a “traitor” to his race for opposing racially determined advantages. Millions of Americans who live “outside the Beltway” – that literal and figurative demarcation between Washington and the rest of the country – yawned and went back to their business after reading about the Supreme Court’s pronunciamento on Grutter. “Nothing to do with me,” said one neighbor in our comfortable (mostly white) Virginia suburb. Many share that view. They are mistaken, however. A high court decision to “racialize” America had everything to do with them. If allowed to stand, it will frame their futures and the futures of their offspring. It will define the future of the nation as one of indefinite government-sponsored racism. Too many people sacrificed and worked to overcome Jim Crow racism to allow that Beast to be loosed again. Experience should have taught us that it is uncontrollable. As is often true in complex matters, the immediate cause celebre is merely the tip of the iceberg. Beneath it is a mass not readily discernable or understood. Just so, other issues lie beneath the surface of the Grutter case. We’ll use the Socratic method of questions and answers to try to reveal them. Question: Why do university officials think a “diverse” student body is important? Answer: They believe it improves the quality of education in their schools. Question: Is there any evidence to support that belief? Answer: No credible scientific measures have been presented to support it. The “diversity” administrators seek goes no deeper than skin color. Question: Why are racial preferences needed to achieve racial “diversity”? Answer: If standard academic admissions criteria were applied, very few black and Hispanic students would be admitted. Their academic levels are too low. Question: Why do black and Hispanic students have such poor academic credentials? Answer: Public schools have failed to educate them at an acceptable level. Question: Is that failure due to lack of funding? Answer: No. School funding in Washington, DC, for example, is the highest in the nation – $30,000 per pupil – while student achievement (of mostly minority students) is the lowest. Question: Then what is the problem? Answer: Primarily, it is the “soft racism” of low expectations. Educators do not believe that these minority students can learn like whites or Asians. Question: Is it possible that they are correct? Answer: No. Like other racist legends, it is a lie. Wherever blacks and Hispanics have been challenged to high academic standards, they have shown that they are capable of responding and learning. Question: Then why are high expectations not applied? Is it all because of racism? Answer: No. It is because of politics. Some political interests find it valuable to cultivate a base of electoral power consisting of low-achieving minorities who need special privileges. Should most minorities become able to compete on their own, the influence and power of such politicians would diminish. This is why they fight things like state graduation requirements and more demanding curricula. Actually functions to obscure the wretched public school education of minority children in the primary and secondary grades. The “soft racism” of low expectations is the true culprit. It performs the academic “knee-capping” of minority students. Racial admission preferences at top schools are simply the means of covering it up. Without them, few minority students could get into elite schools. Thus, “sensitive” educators push minorities along and make them feel good, but deny them a substantive education. Students like a previous colleague of mine finish high school unable to write a coherent paragraph or do basic math. Reverse-racism gets them into colleges and universities they aren’t qualified for. Statistics show that many flunk out or withdraw. This is the Dirty Secret of preferences. Recent reports show that 83% of public school fourth-graders in Washington, DC – largely black and Hispanic students – read below grade-level. DC minority high school seniors read at an average 8th-grade level. Appalling numbers of “graduates” are illiterate. Teachers unions stubbornly resist the phonetic reading method, oppose educational vouchers, and call for more funding. The situation is so far out of control that even way-liberal (black) DC Mayor Anthony Williams finally lined up behind vouchers so students could have a chance at a decent education. For his pains he lost the support of the city’s public educators. In Florida, hundreds of minority high school seniors failed a state-mandated test the first year it was imposed. Students got six tries to get the passing score of 40% required for graduation. Governor Jeb Bush cancelled the requirement when racial activists threatened to boycott Florida businesses unless those minority students were allowed to graduate. In California a similar graduation requirement was postponed for two years when a third of high school seniors failed it. This is what our diversity-quest has wrought. In a following article we’ll examine some possible ways back to sanity.